For many people, the garage is simply extra storage space. And, if you are like most people in America with a garage,k you probably don't use it to park your car. In fact, it's been estimated that less than 20 percent of homeowners and renters in the United States use their garages for parking cars. No, most of us use the garage as an attached "storage unit" instead! If you are using your garage to store your extra belongings or unused items, you're certainly not alone. 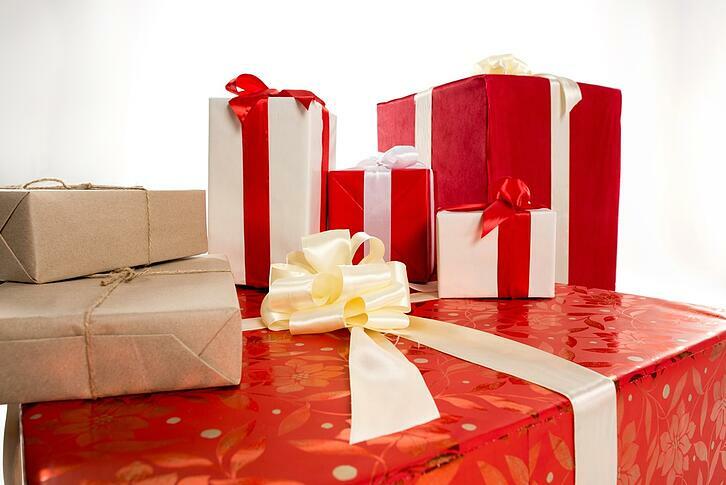 And it's not unusual to add to that stock of goods after the holidays when more goods are acquired. But the problem most people run into when it comes to storage in the garage isn't always running out of space, but how to best use the space they have. This is just as true for a small, one car garage as it is for the luxurious three or four car structures on some homes. How the space is used is what matters. Just piling and stacking boxes and storage containers doesn't work well. In addition, most residential garages are not built for storing anything except cars and, of course, the water heater and maybe a furnace. What this means is that, in most garages, there are no shelves or closets of any kind - just bare walls and often open ceilings with exposed rafters. Also, because all the doorways into and out of the garage have to be kept clear, and the large garage door, or doors, must be avoided, this leaves areas that can't be used to stack things. What often happens as a result is unsightly, disorganized piles of stuff crammed into any available space in the garage and a narrow path or two between doors. This is not only highly inefficient and awkward to move around, it can be dangerous. Piles can fall over blocking exits and there is also the increased fire danger as junk piles up everywhere. After the holidays are over, it's not unusual to find that with all the new things received as gifts, many old things end up getting put out in the garage. And since the winter weather in many parts of the country doesn't lend itself to garage sales and yard sales, most of this stuff continues to pile up and gather dust. So the first step, then, is to get organized. Staging, categorizing and even separating your belongings is the first step in organization. While it's best to use the driveway or yard for this step, the weather may determine that you do this inside the garage instead. Keep in mind that separating out everything you don't want to keep is an important part of this step. These unwanted items can then be sold through online sites such as Craig's List or eBay, donated to a local charity, or even given to willing neighbors who can make use of your excess items. And, if you decide against making the effort of selling or donating these items, you can always call a professional junk hauling service like Junk King. The important thing here is to reduce the overall quantity of things sitting in your garage before deciding on storage options. One of the best storage methods for a garage, of course, is to install some type of shelving. While putting everything you can into plastic storage containers is a good start, these can't be stacked too high without creating a real safety hazard. Putting these containers on shelves, however, is a far more efficient and safer method. The goal in optimal storage is to store "up", not all over. Storing your stacks and piles up instead of out is best accomplished with some type of shelving system. And part of the beauty of a garage is that it lends itself to a variety of shelving methods. And space used for shelves is only limited by the height of the ceiling and the methods used. Installing shelves along the walls of the garage often provide the best option for storage. These shelves cannot fall over like free-standing units can, especially in earthquake-prone states like California. They can be built floor-to- ceiling, providing maximum storage capacity. And shelves built along the walls can also be installed above doorways and with alternating heights between shelves. These can be old kitchen or bathroom cabinets that have been re-purposed for your garage, or high-end storage cabinet systems especially designed for garages. While this is usually the most expensive option, it can also be the most visually appealing and offer sufficient "out-of-sight" storage for most homeowners. Aside from the cost, a slight disadvantage is that these systems usually have to be installed professionally and are fixed in place. There are a wide variety of shelf units that can be purchased from department stores or the big box hardware outlets. These range from all-plastic shelves, usually designed for lightweight storage, to heavy duty units built to support big loads. Typically, the stronger the shelf unit the more weight it can hold, but also the higher the price. Keep in mind that open shelves without sides, backs or doors provide great access and can be re-positioned in your garage, if need be. An additional option that can often be utilized is the empty space in the ceiling of your garage. Although they require proper hardware to secure the shelves safely, they allow homeowners to make use of overhead space efficiently and "out-of-sight." These units can be used for items that are not excessively large or heavy, and not used and accessed very often. After all your stuff has been separated, organized, and put up on shelves, you will probably end up with stuff that still needs to be disposed of. If you haven't been able to sell it or donate it, or don't want to take the time, you can obtain the services of a professional junk hauling firm. Decluttering and organizing can make for a happy home. 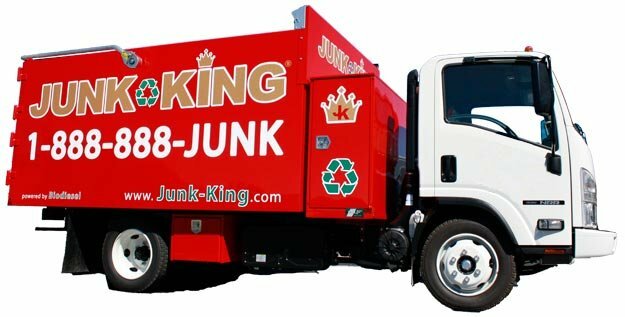 Let Junk King take care of the garbage and unwanted stuff!